Sir Robert Devereux announced that he is stepping down as the permanent secretary of the Department for Work and Pensions. The message is clear: In Tory Britain, there’s one rule for the rank and file and a completely different one for the elite. Sir Robert Devereux is one of the elite. He’s the civil servant who enacted the most punitive social security “reforms” (a vile euphemism for draconian attacks on the sick, the disabled and the vulnerable) on the working-class people of the United Kingdom. And he has been well-rewarded for it – as the Daily Mail article quoted below makes clear. So he’s cutting and running – many years before the retirement age he has forced on the rest of us including, most noticably, the WASPI women. He can probably feel the way the wind is blowing. Time is running out for the Conservatives and a Labour administration will undoubtedly take great care to examine every act of the DWP throughout the last seven years of its blood-drenched history. Maybe he wants to be safely retired in some warm country where he can’t be caught before that happens. Meanwhile, the rest of us continue to suffer. The mandarin who pushed through a rise in the pension age to 68 is to retire – at just 61 years-old. 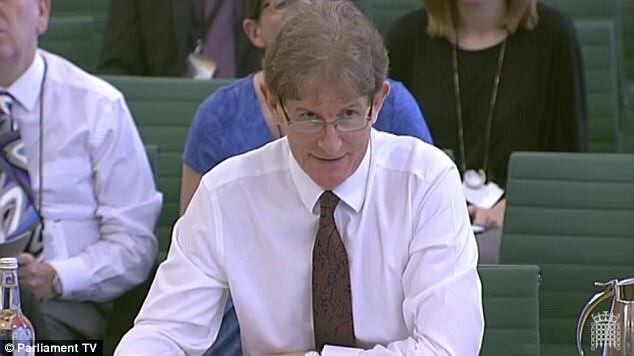 Sir Robert Devereux announced today that he is stepping down as the permanent secretary of the Department for Work and Pensions. The senior civil servant has the biggest pension pot in Whitehall and will enjoy a retirement pot worth a staggering £1.8million. This means the 60-year-old will get £85,000 a year and a lump sum of £245,000 when he leaves his job. Another job done Sir who has bent over backwards in doing Governments bidding with a vengence. How is he going to live on that paltry retirement pot Don’t worry he’ll be back on some lucrative number coining it in on the usual Government magic roundabout. I wish him well to enjoy his just rewards …. in the hereafter where his contribution to mankind will be judged at the pearly gates.